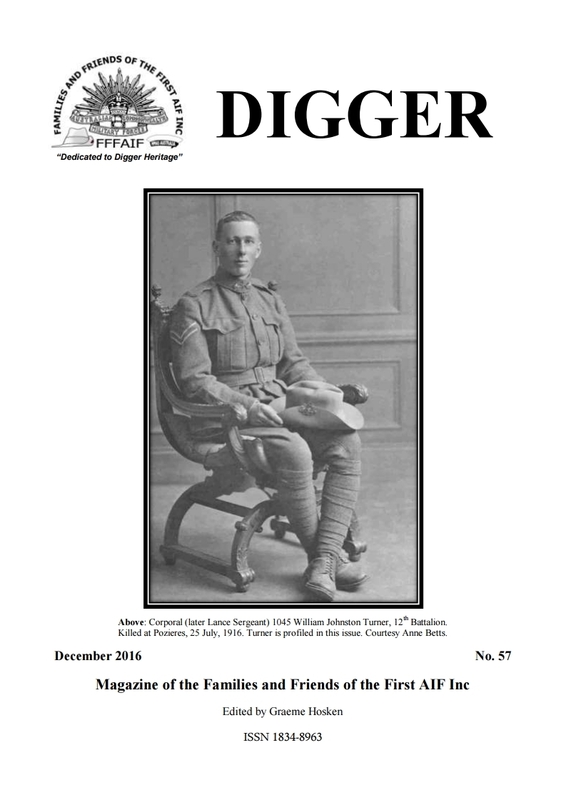 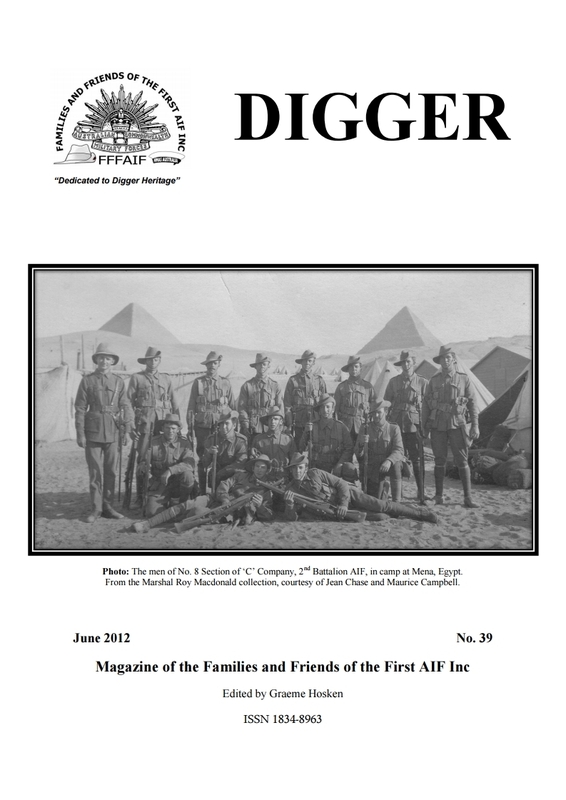 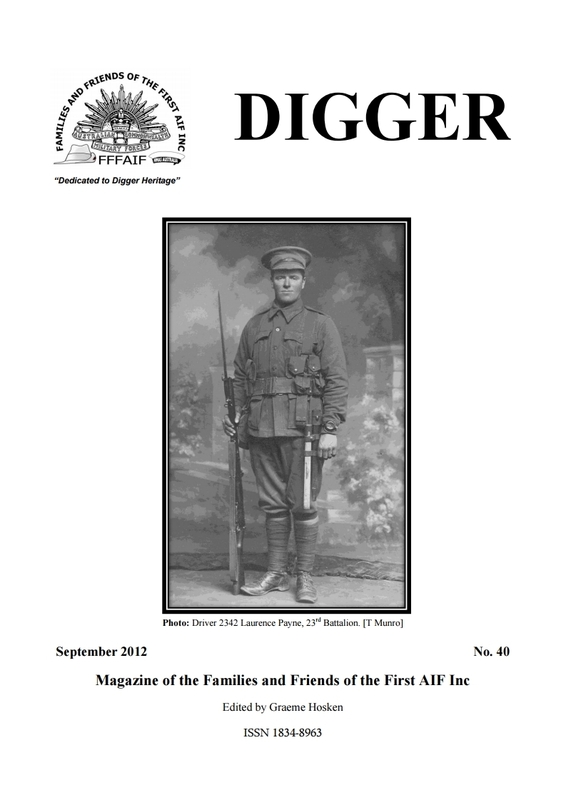 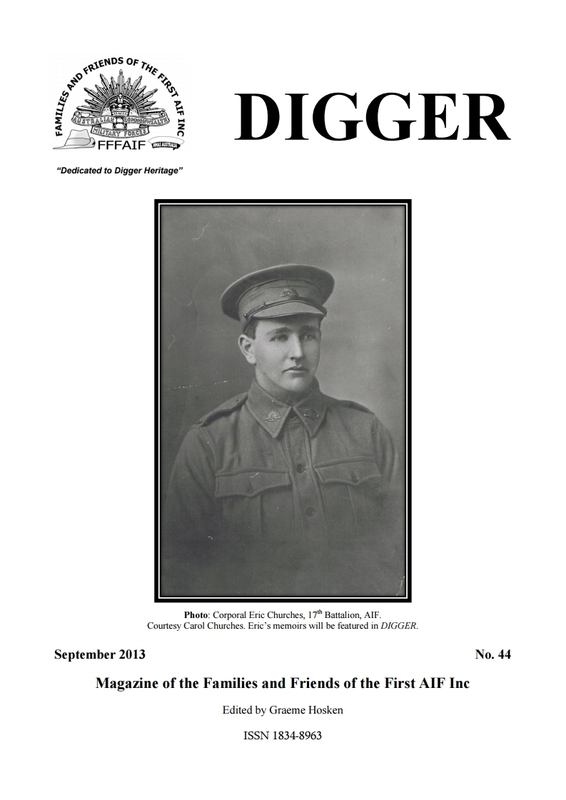 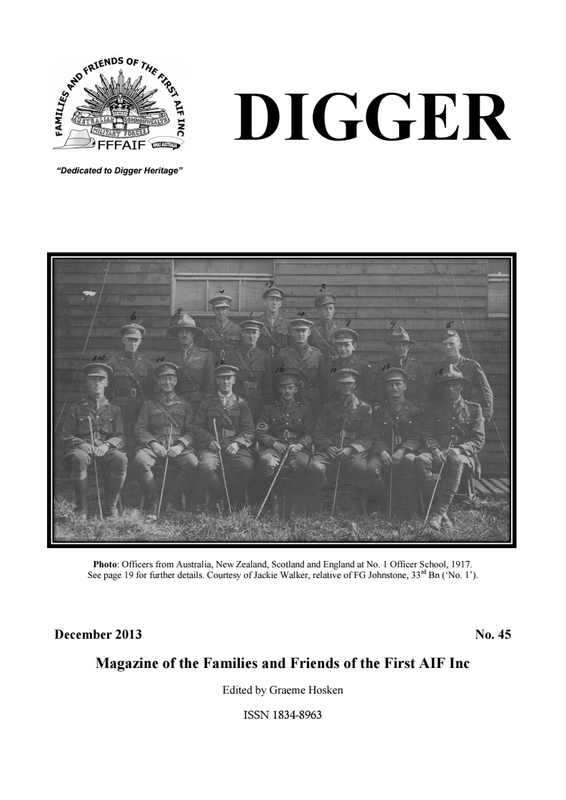 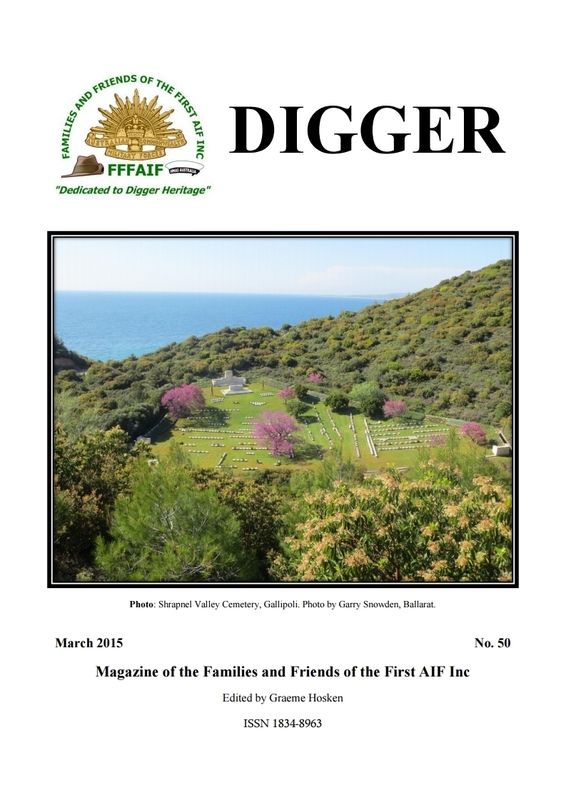 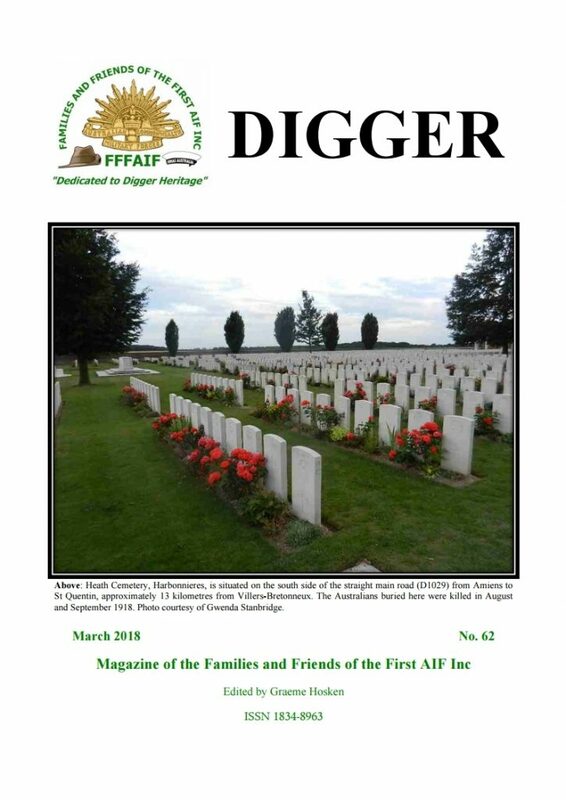 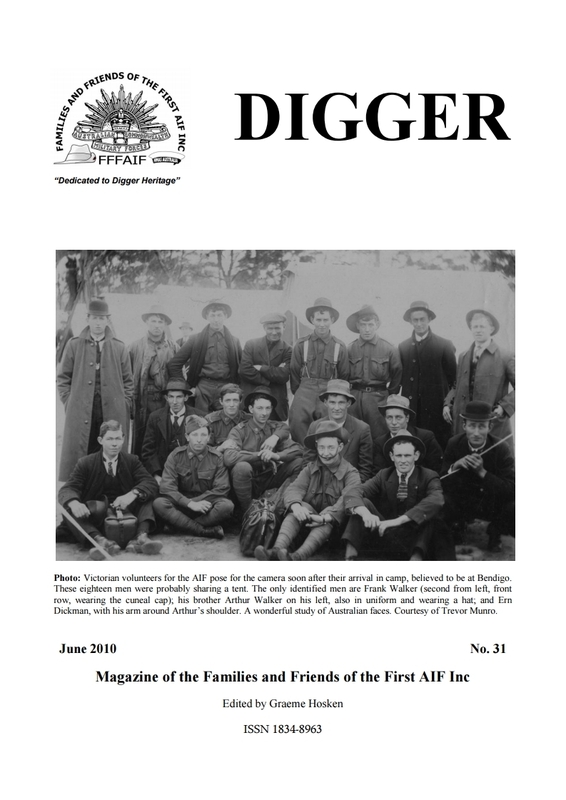 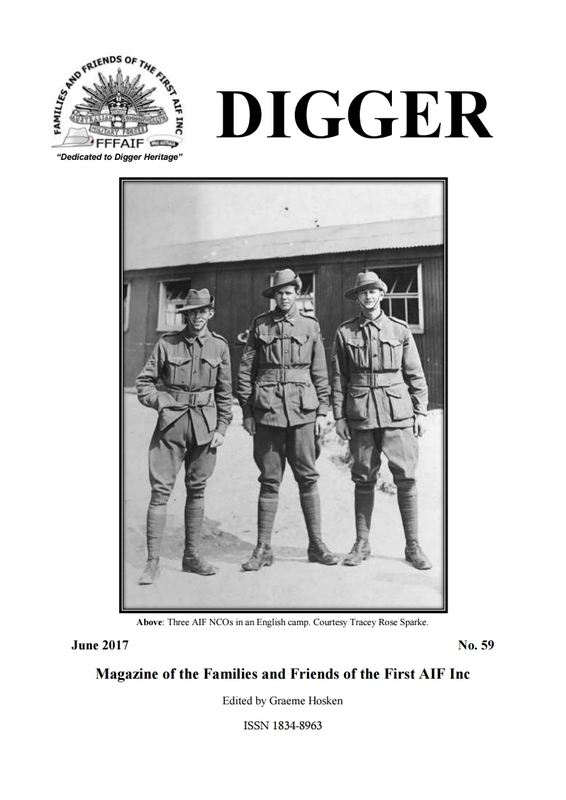 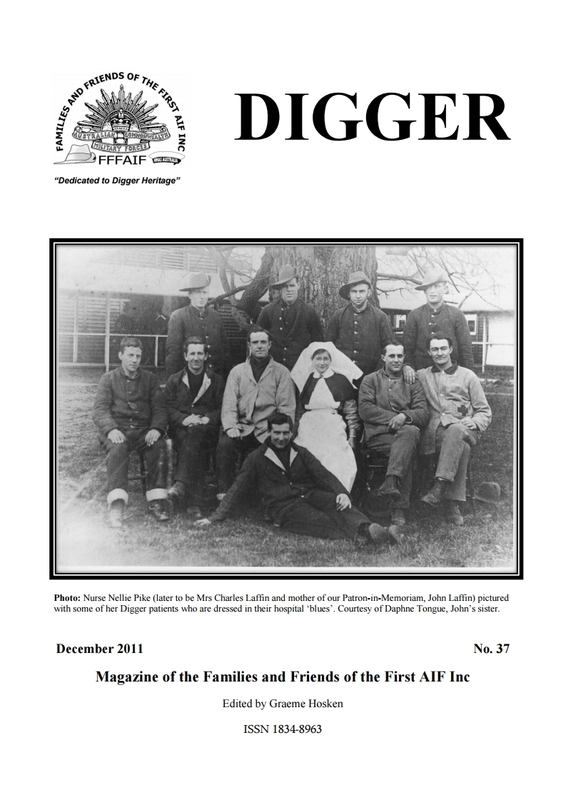 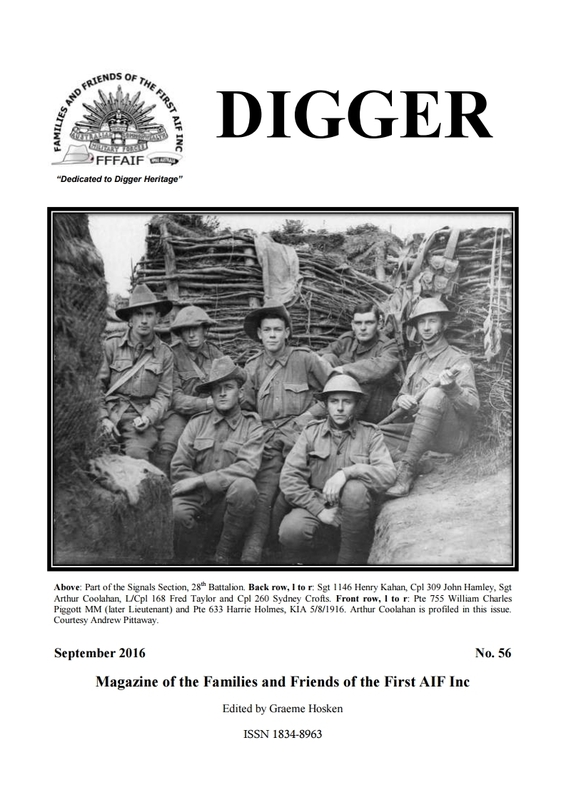 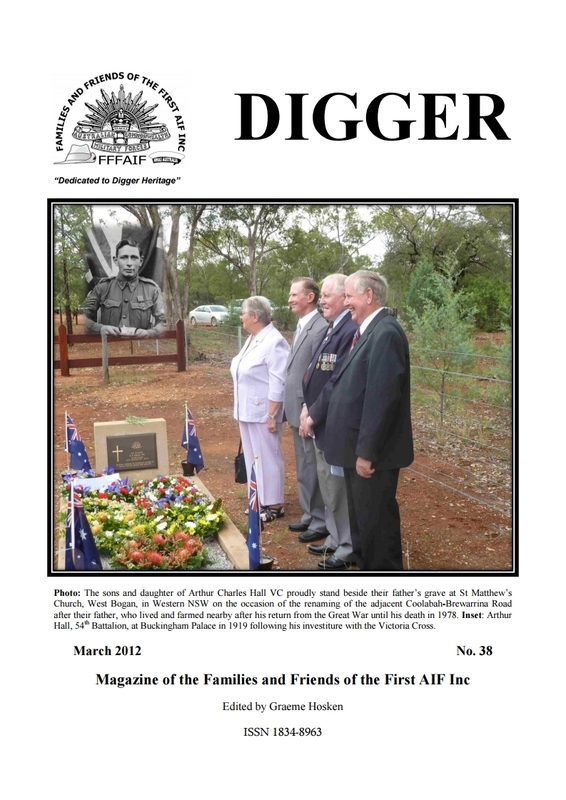 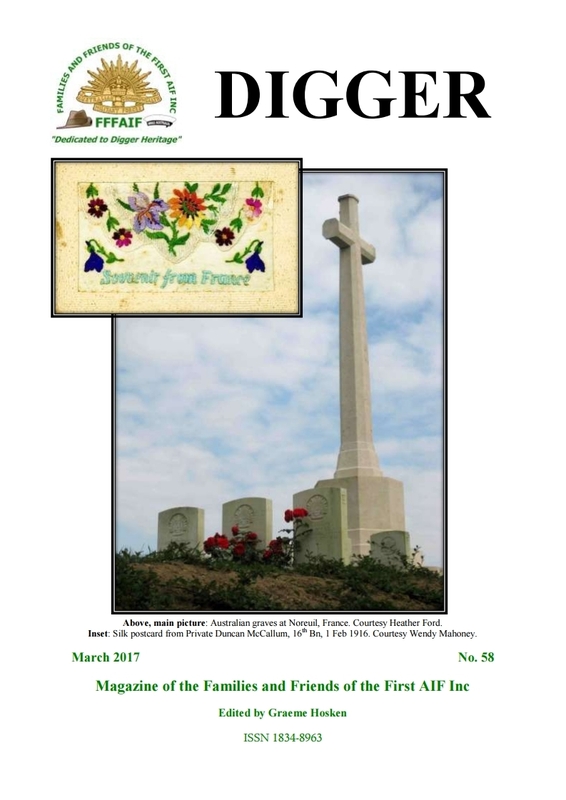 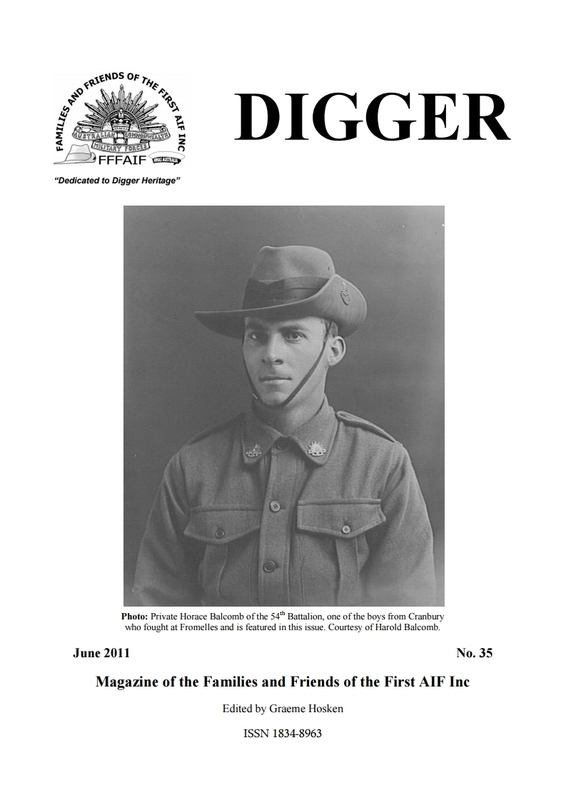 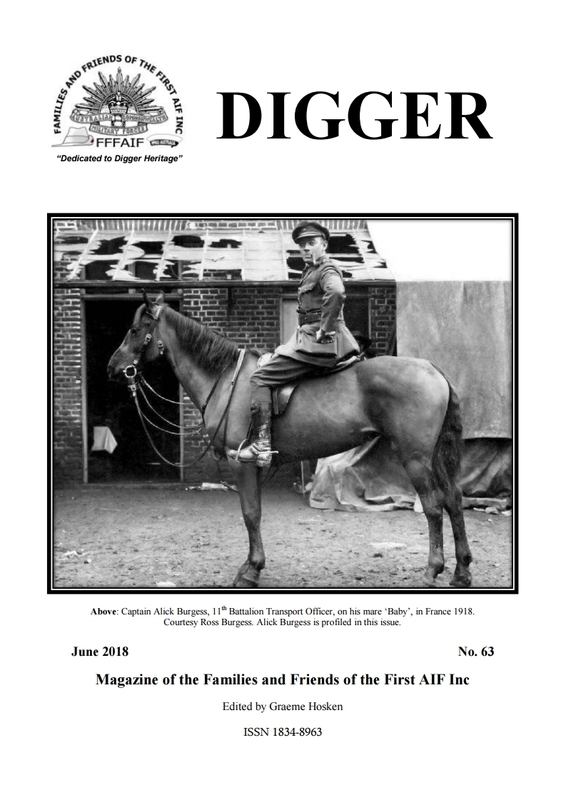 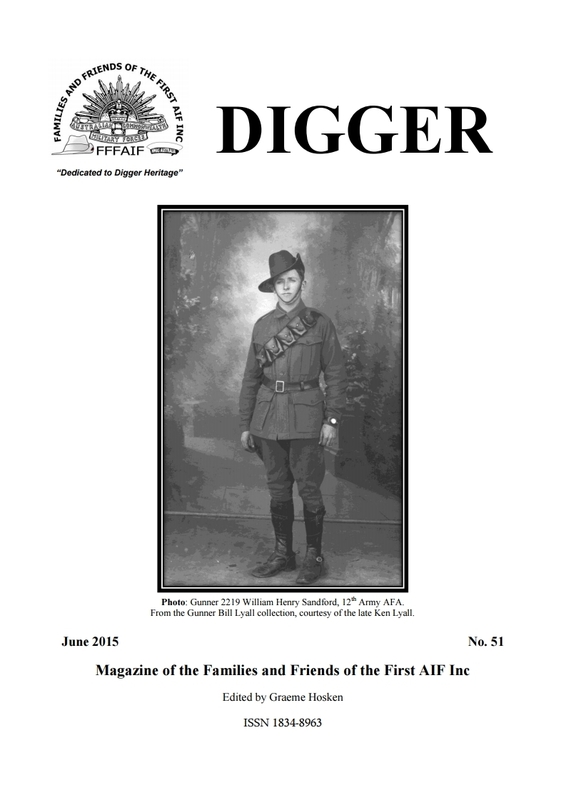 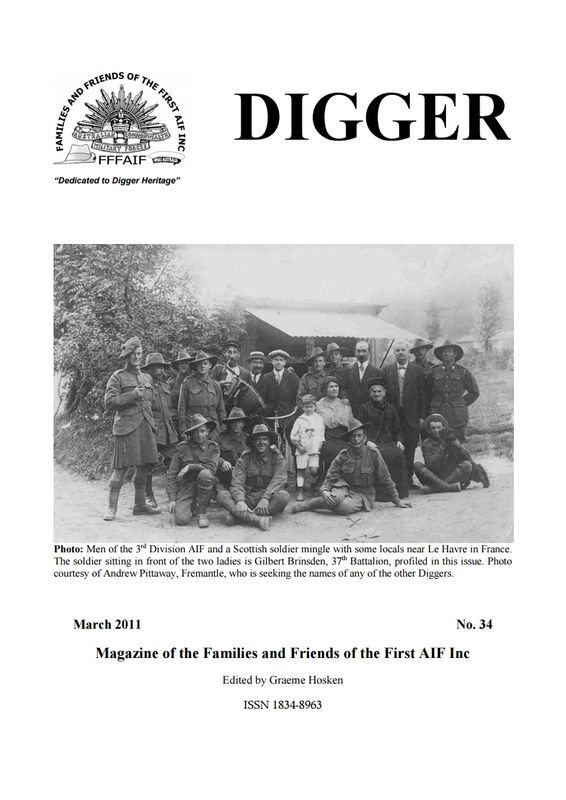 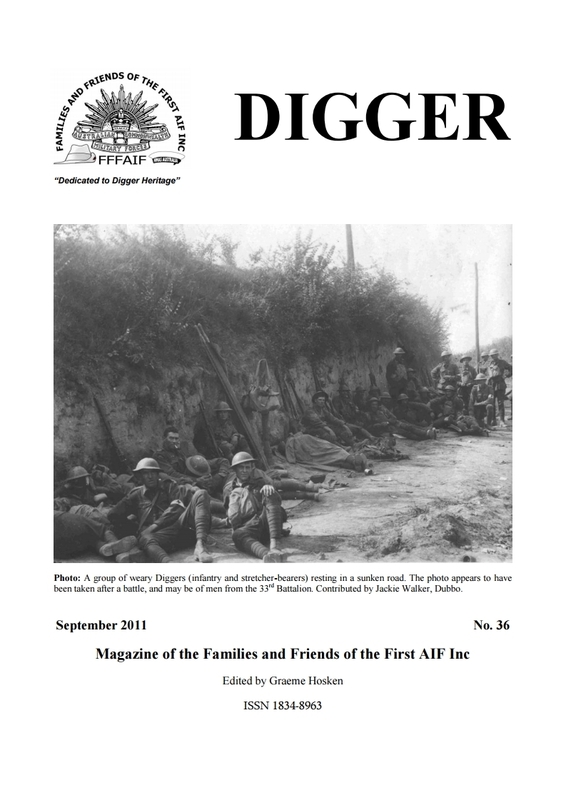 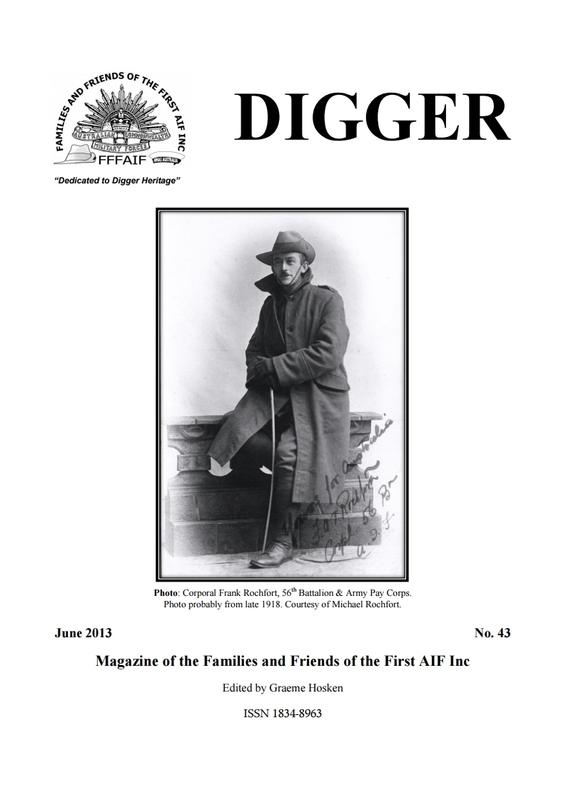 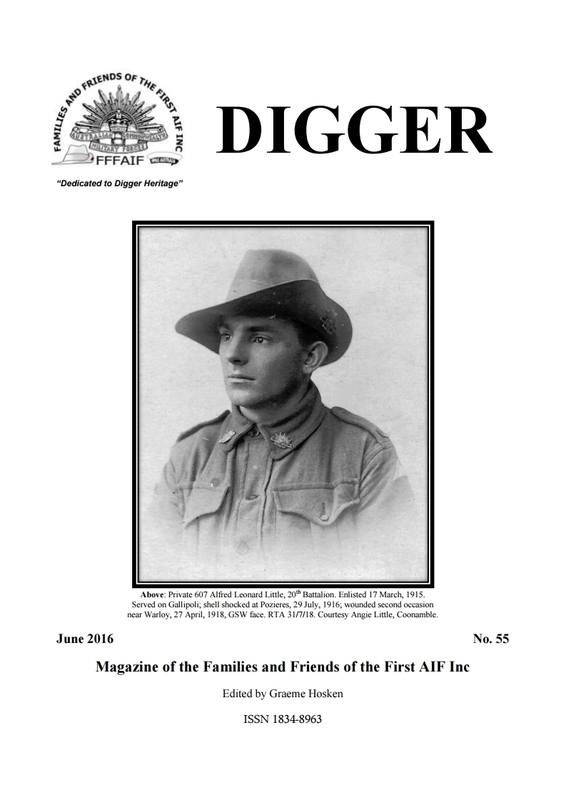 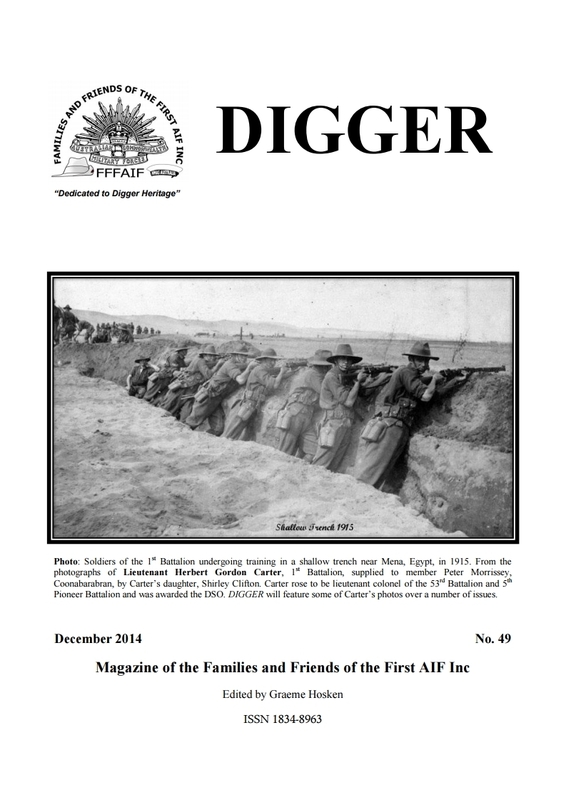 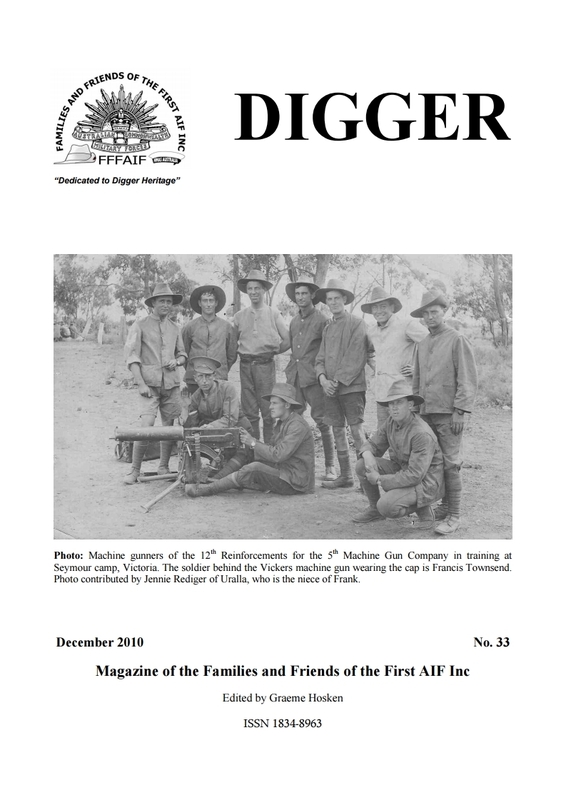 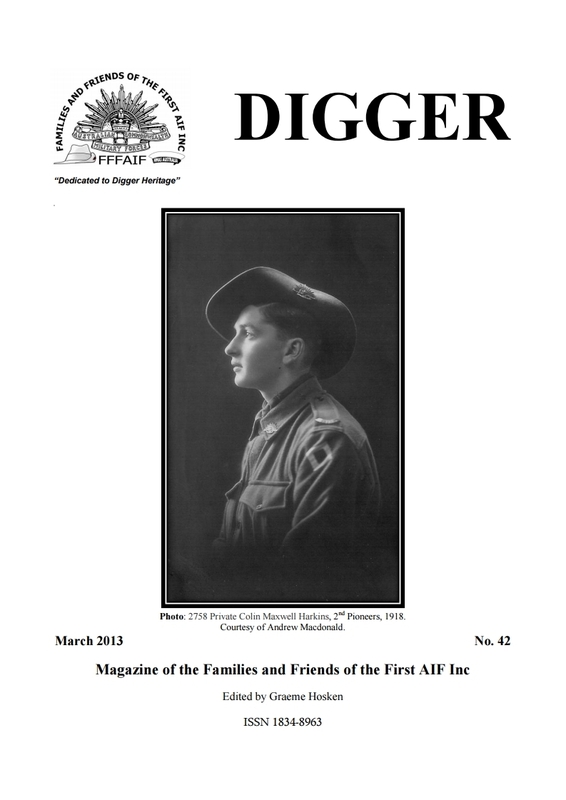 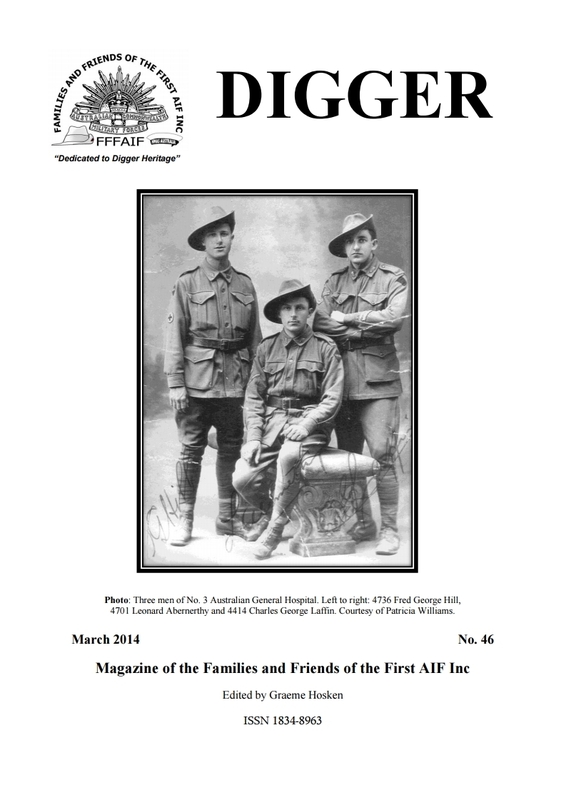 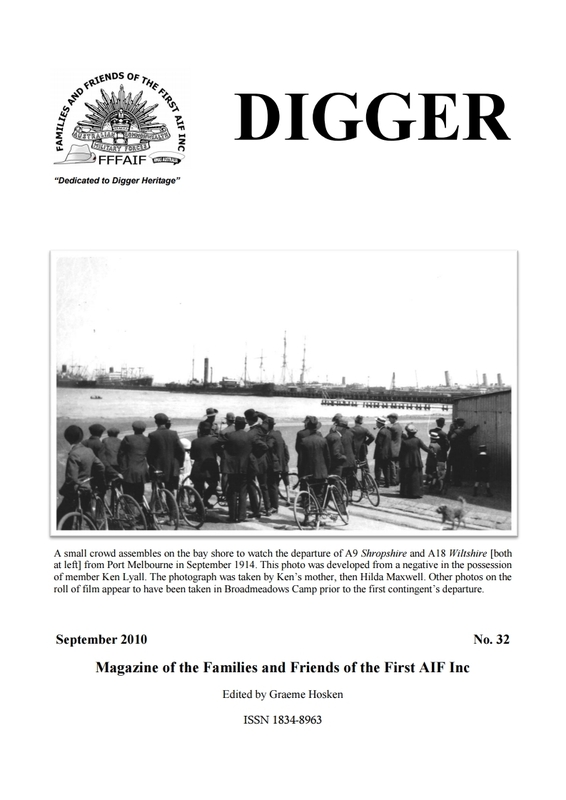 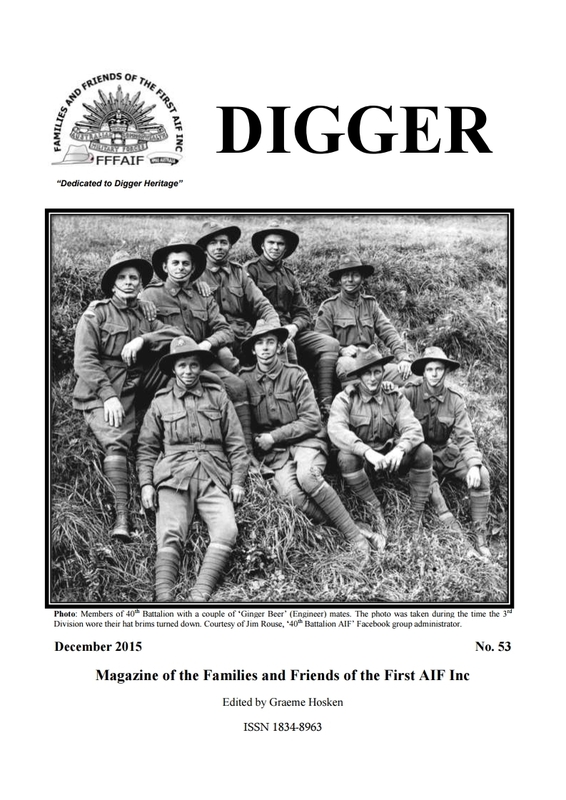 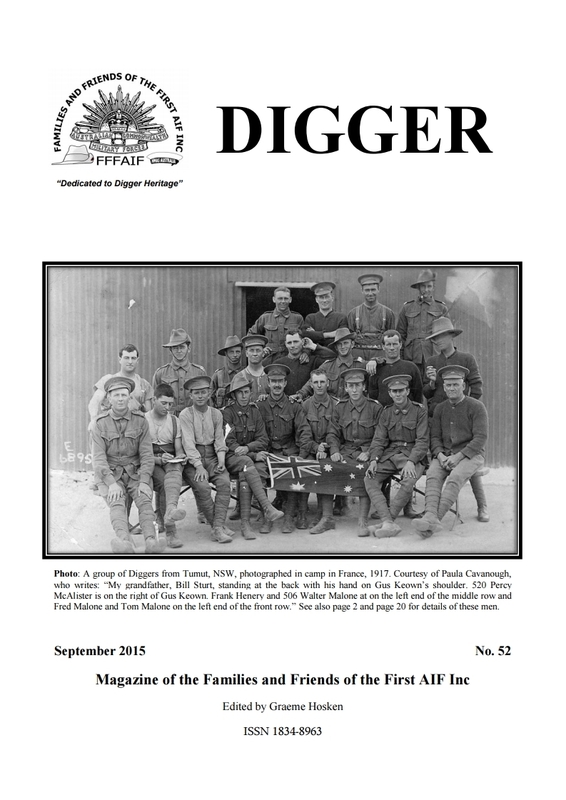 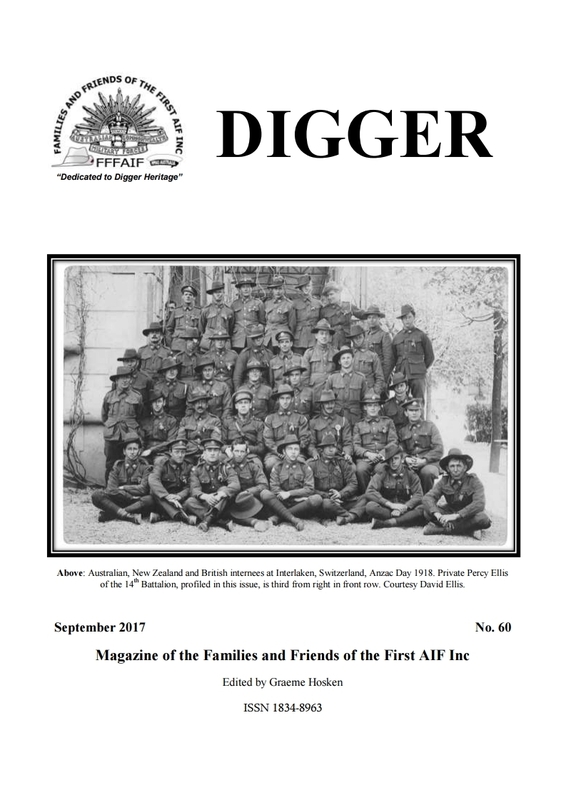 DIGGER is the quarterly magazine of Families and Friends of First AIF. 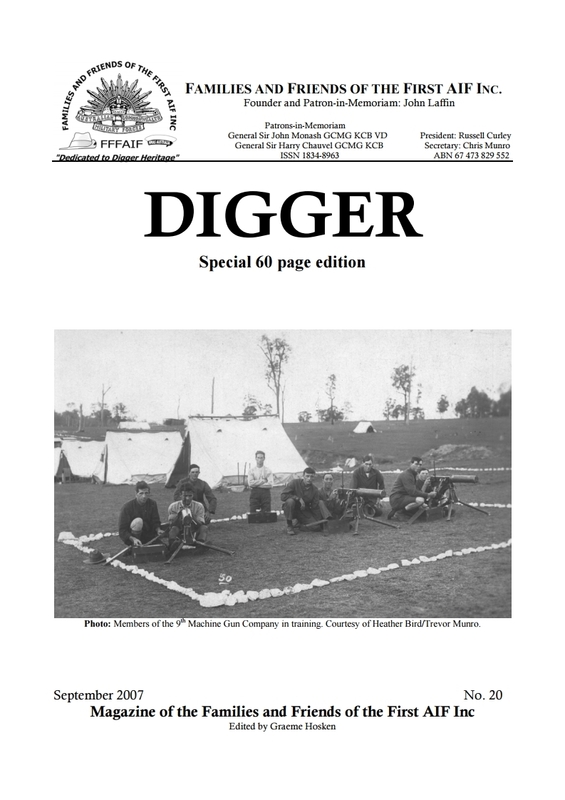 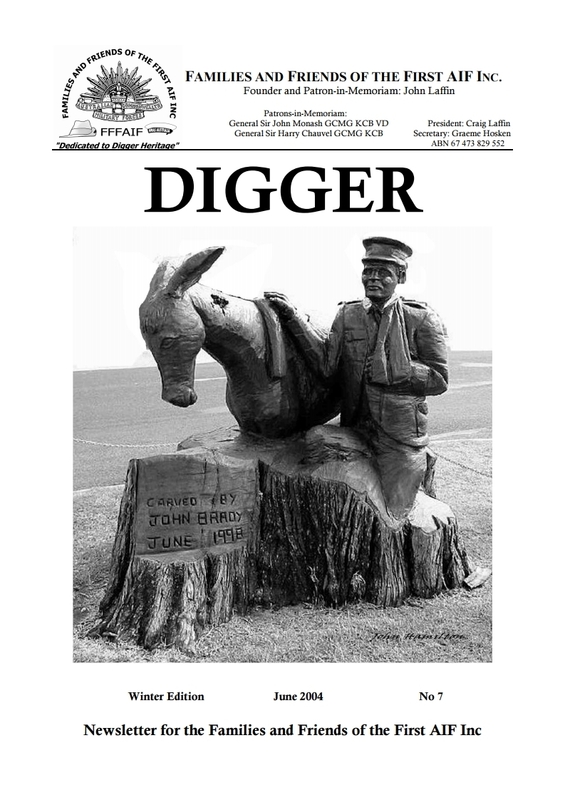 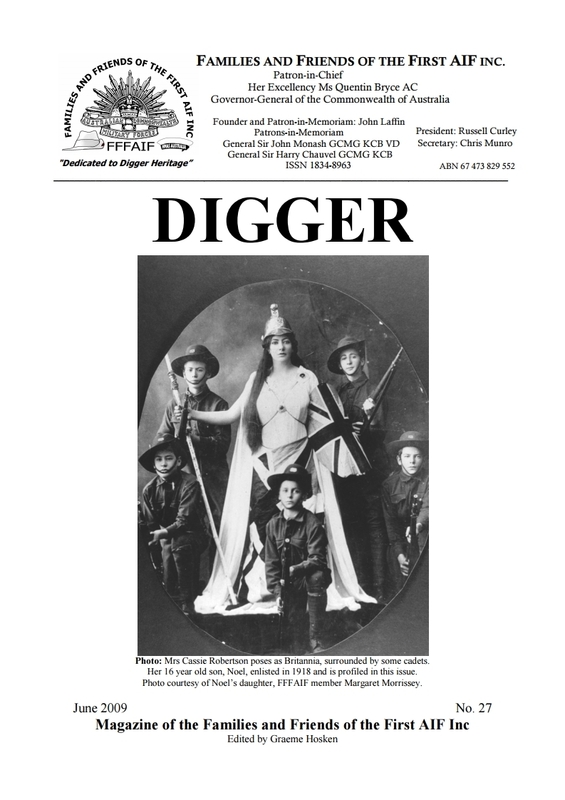 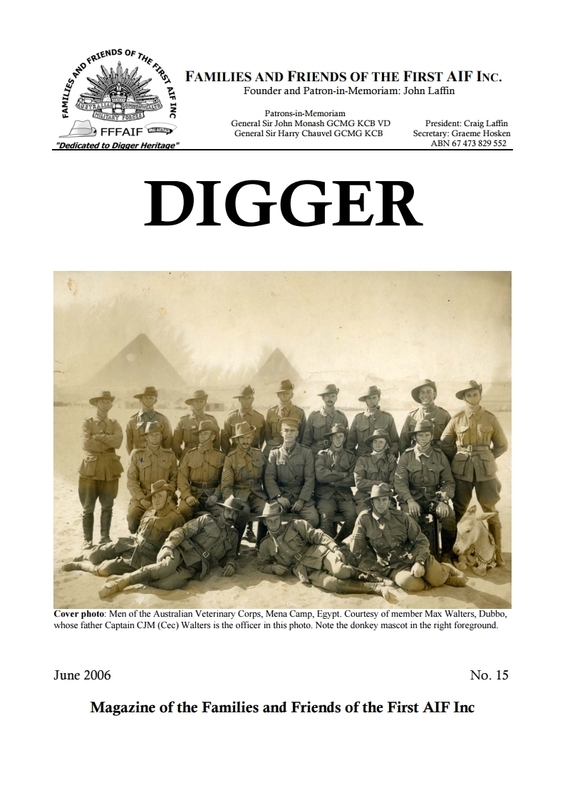 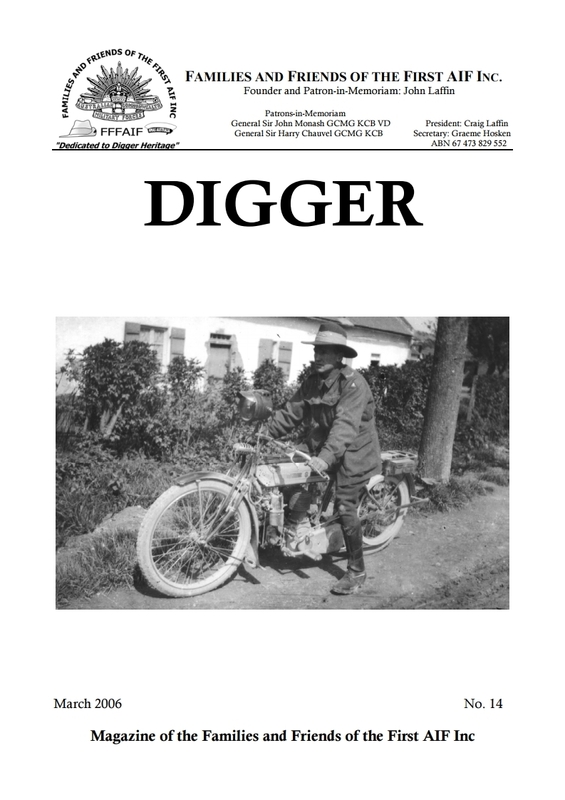 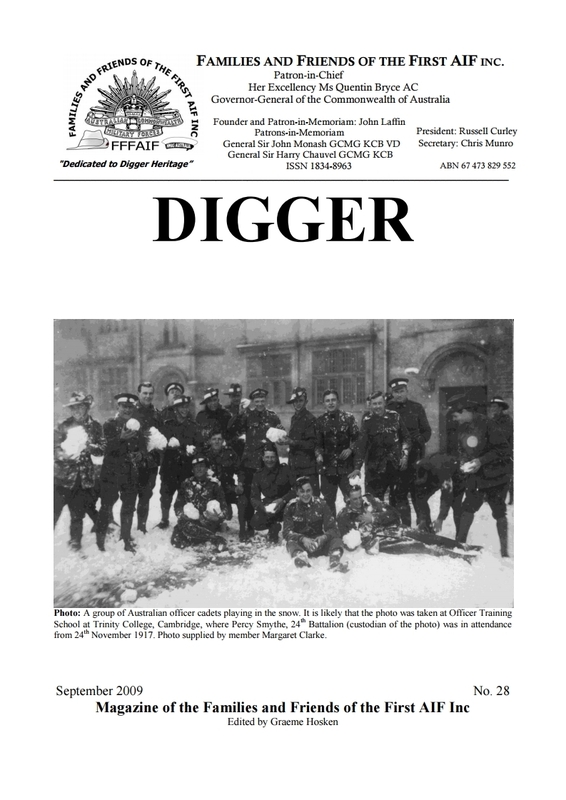 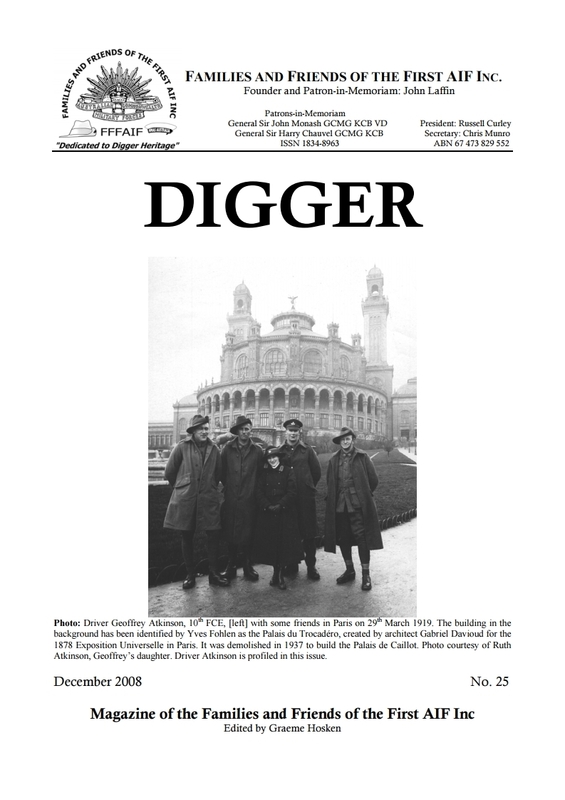 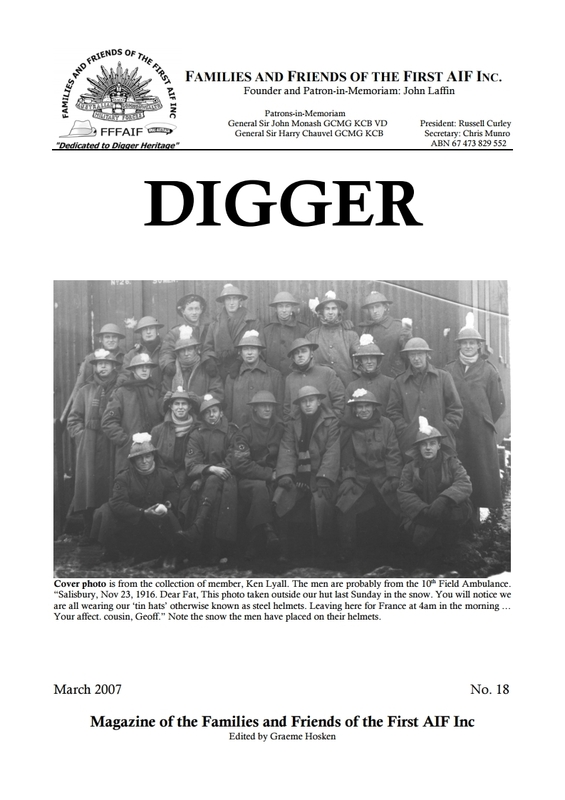 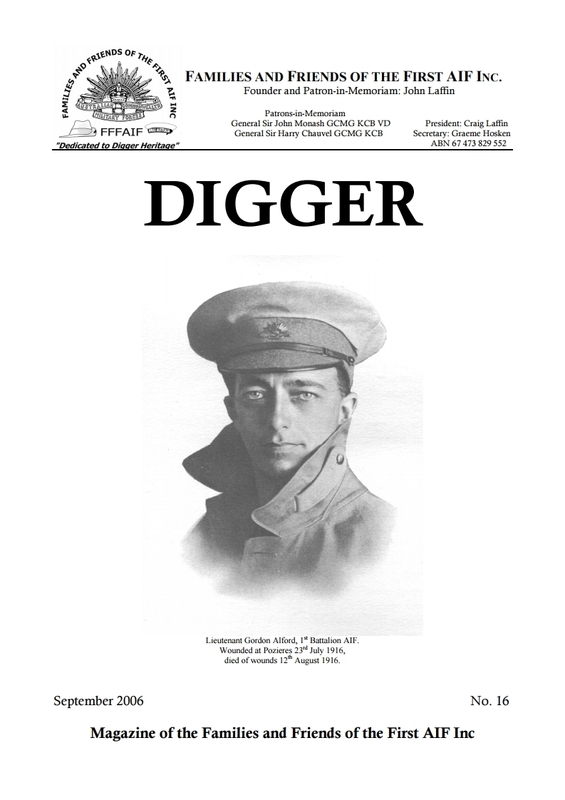 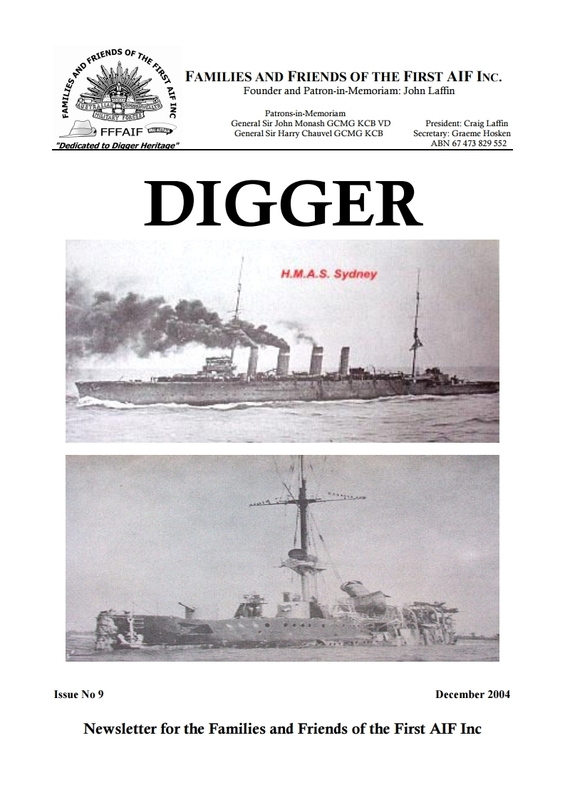 Each edition of DIGGER contains many articles and photos, the majority of which are published for the first time and are provided by members. 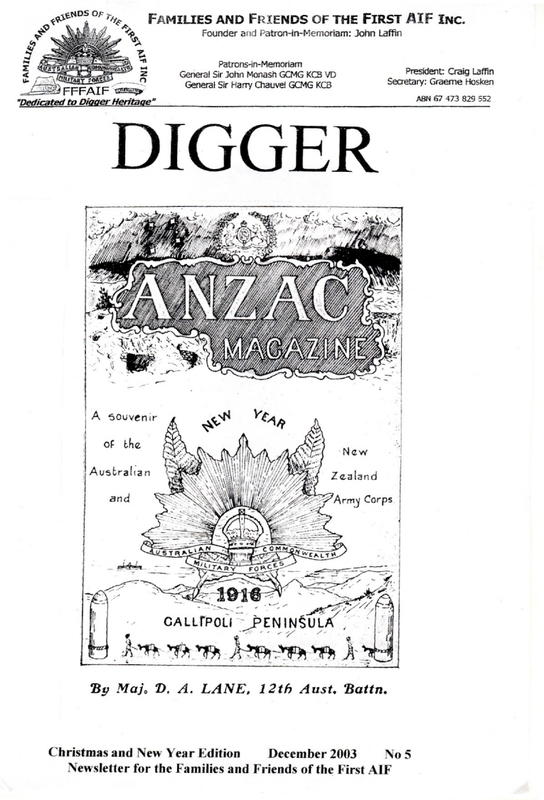 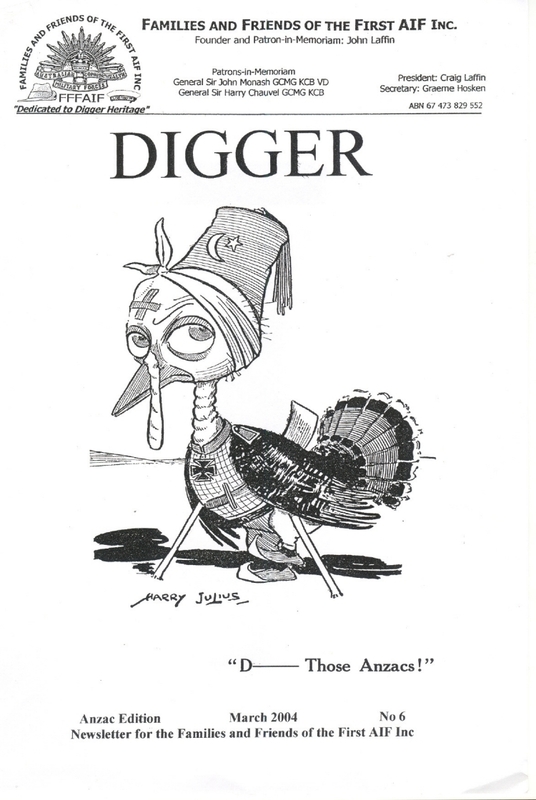 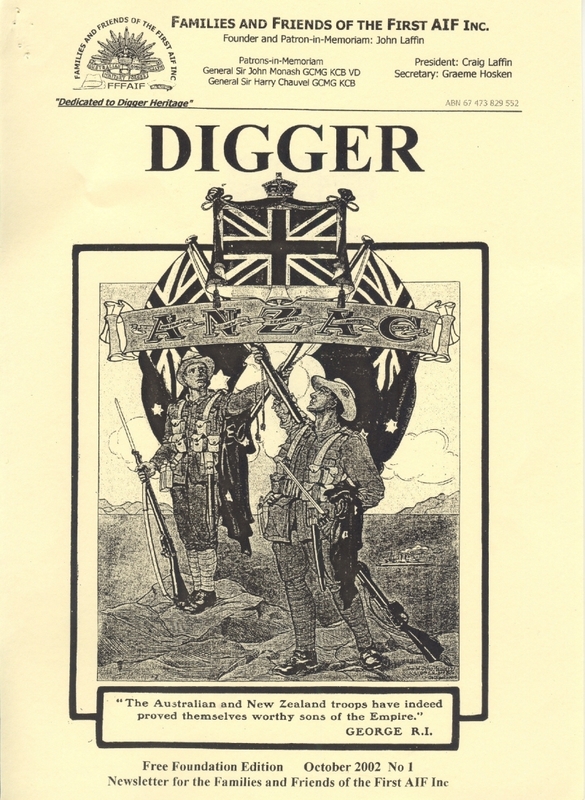 Take some time to have a look at some of the past DIGGER magazines. 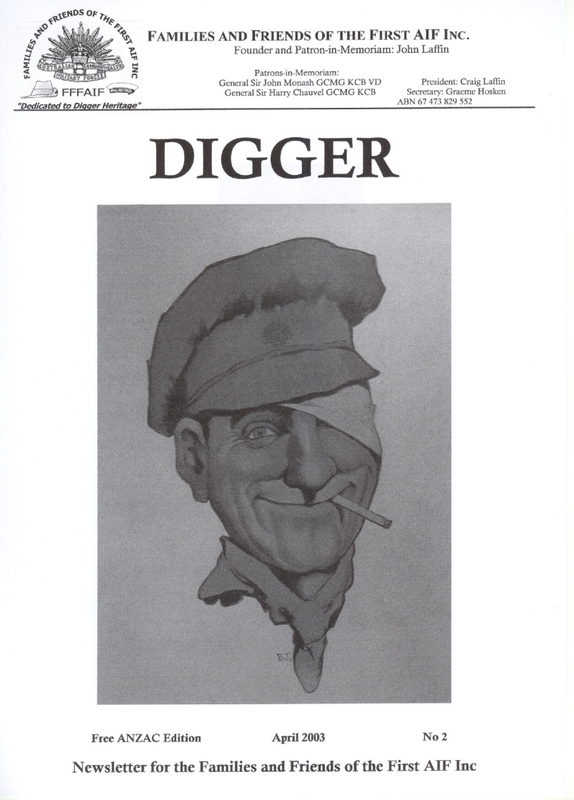 Copyright © DIGGER Magazine. 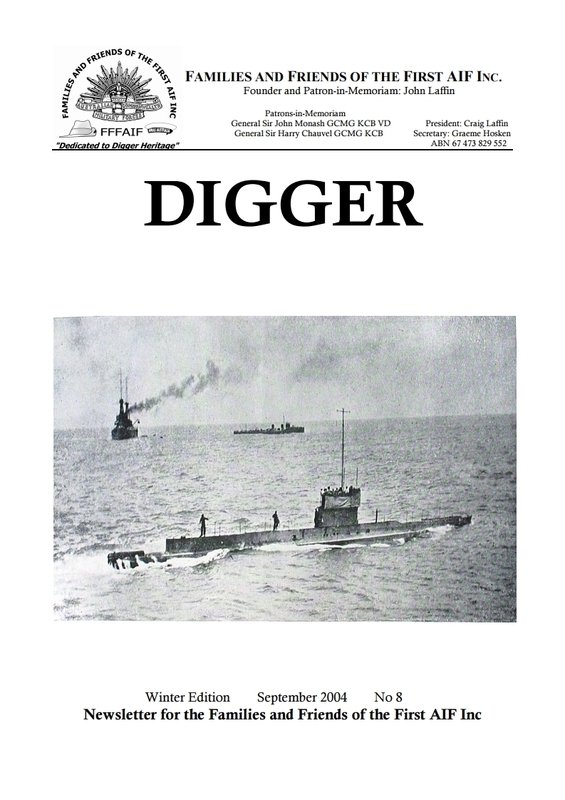 All material in DIGGER is copyright. 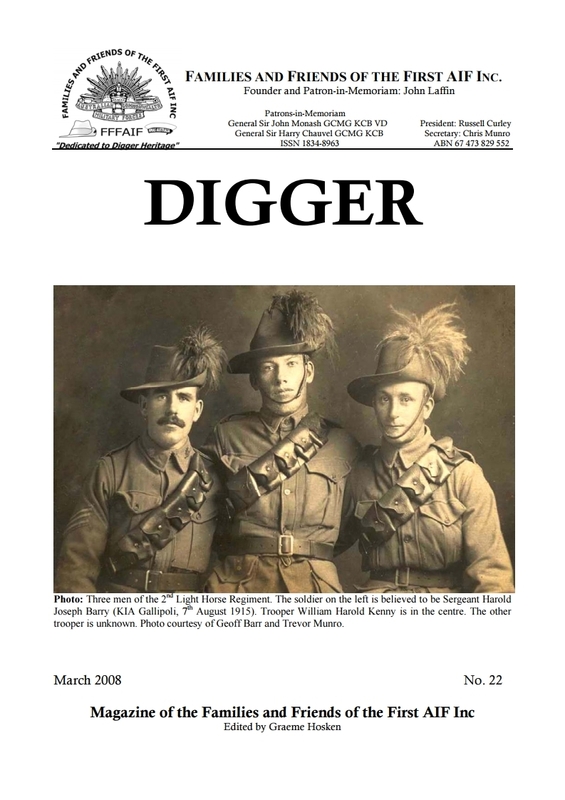 Subject to the fair dealing provisions of the Copyright Act 1968, reproduction in any form is not permitted without written permission of the Editor or Author/s. 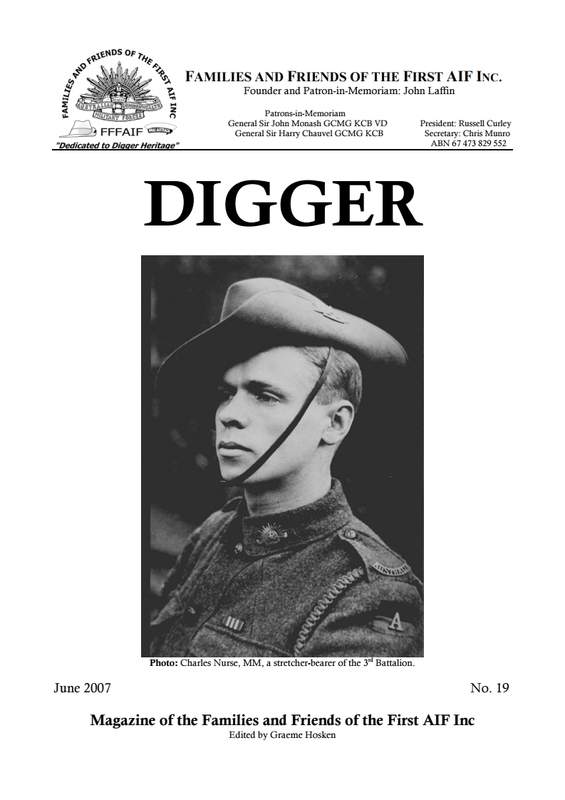 The next edition of DIGGER – Number 66 – is due for release in March 2019. 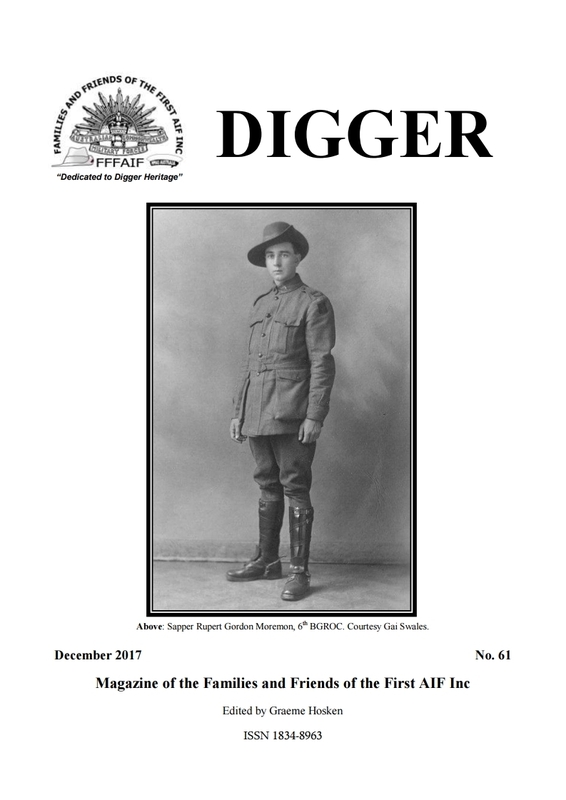 Is there an article from a past DIGGER you would like to locate? 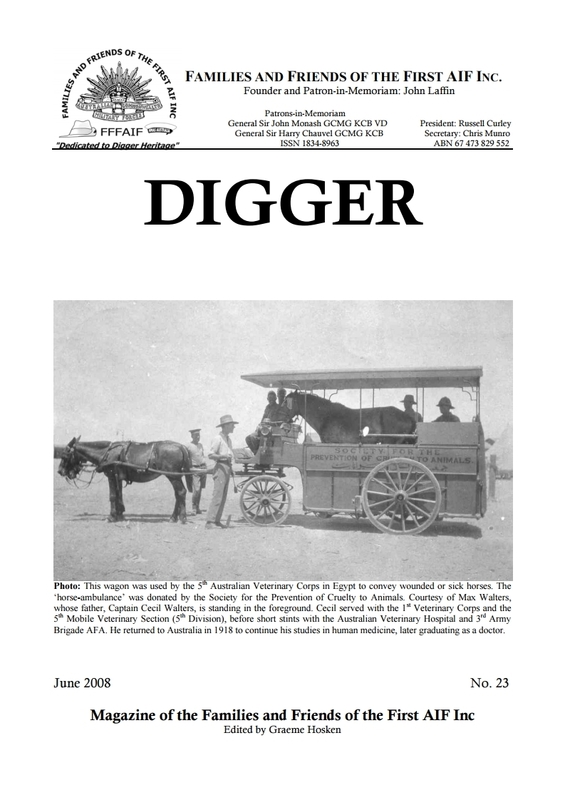 Looking for information for your current research project? 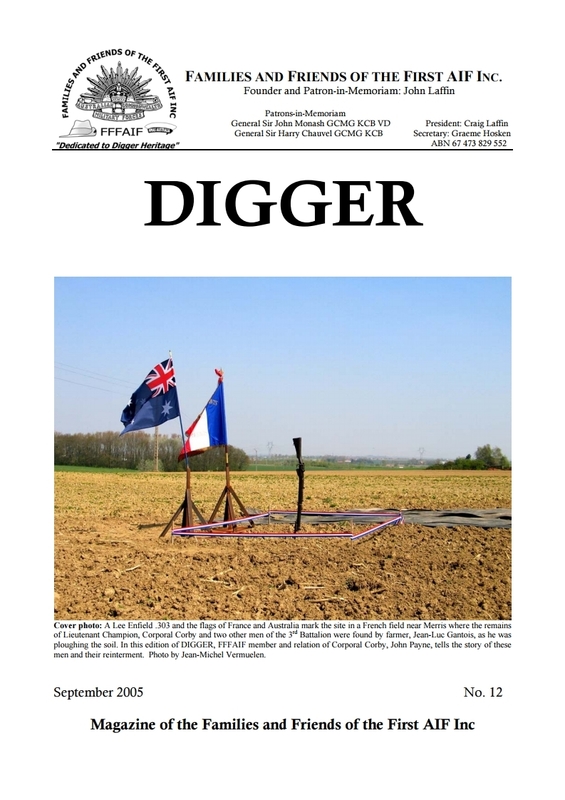 Are you curious about the range and variety of articles that have appeared in DIGGER? 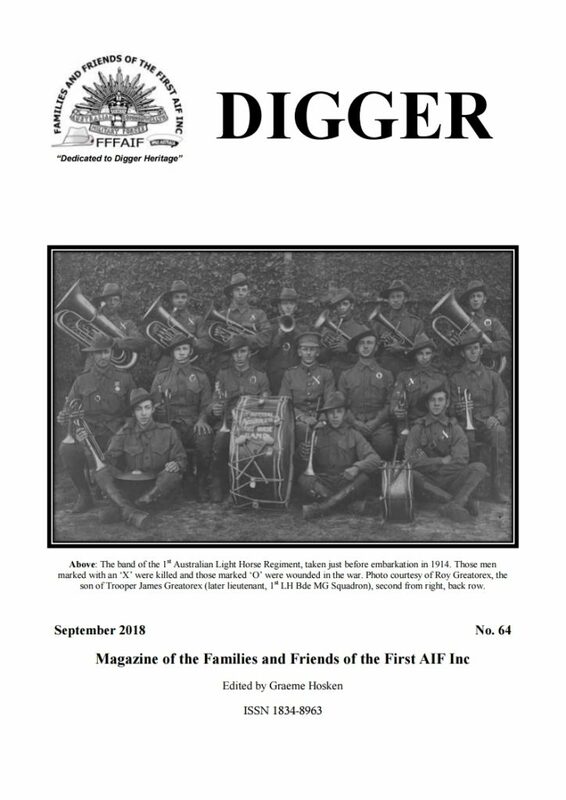 Look in the searchable Collection of Tables of Contents below (right click on your mouse to <Open in new tab> or download the PDF file and browse using <Save target as>). 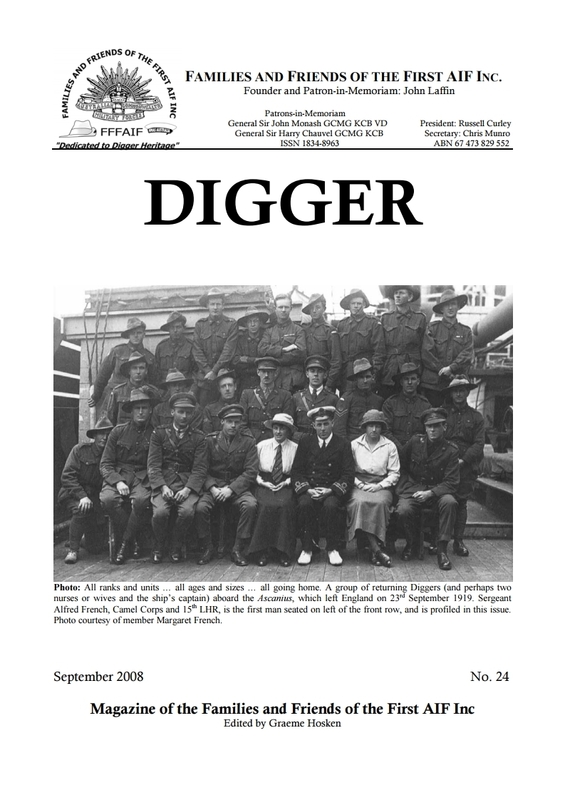 Access past copies of DIGGER. 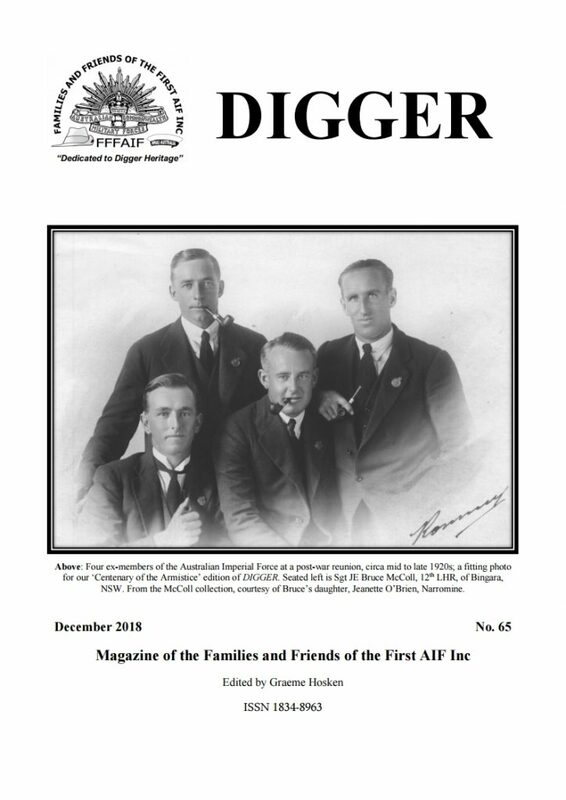 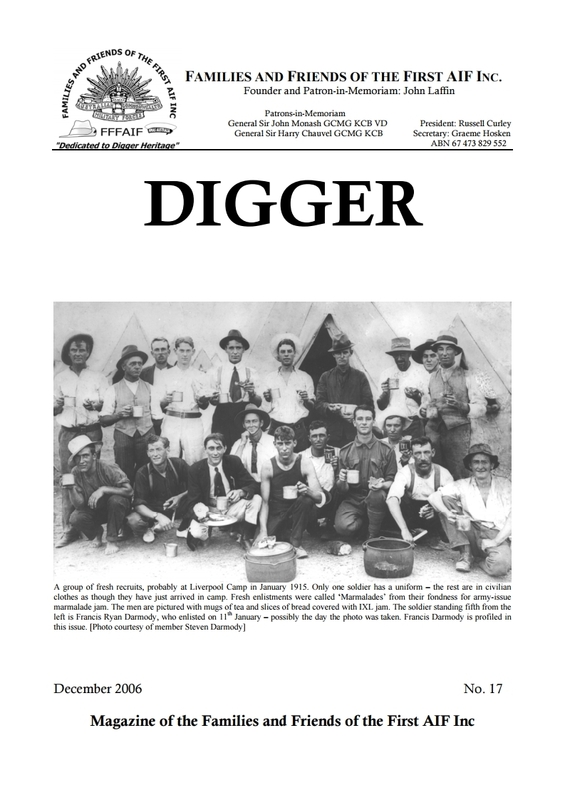 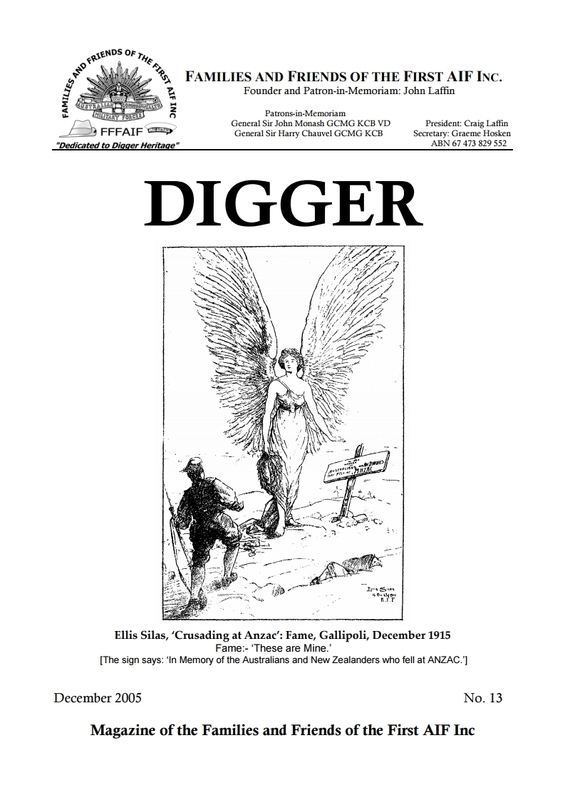 Copies of past issues of DIGGER are available for sale by contacting digger@fffaif.org.au, or are free for the benefit and use of FFFAIF MEMBERS from the Members Only area of the website. 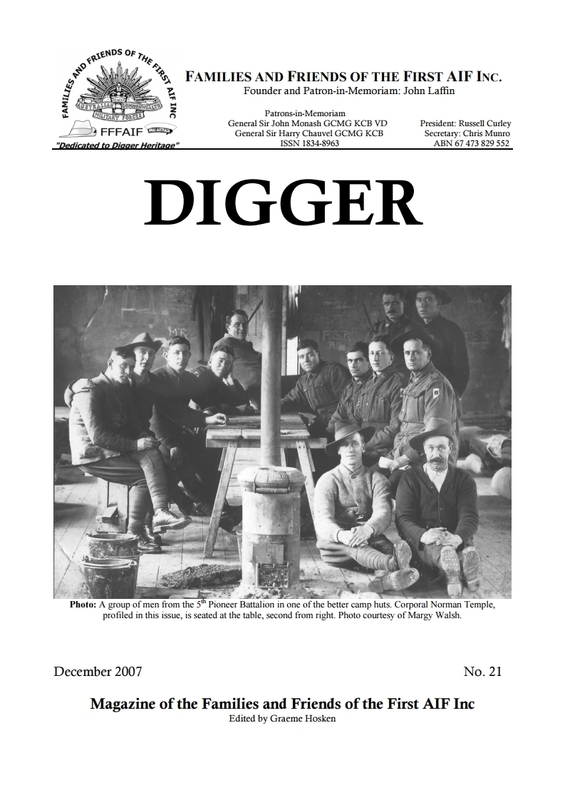 Please remember that the material contained within DIGGER is subject to copyright ©. 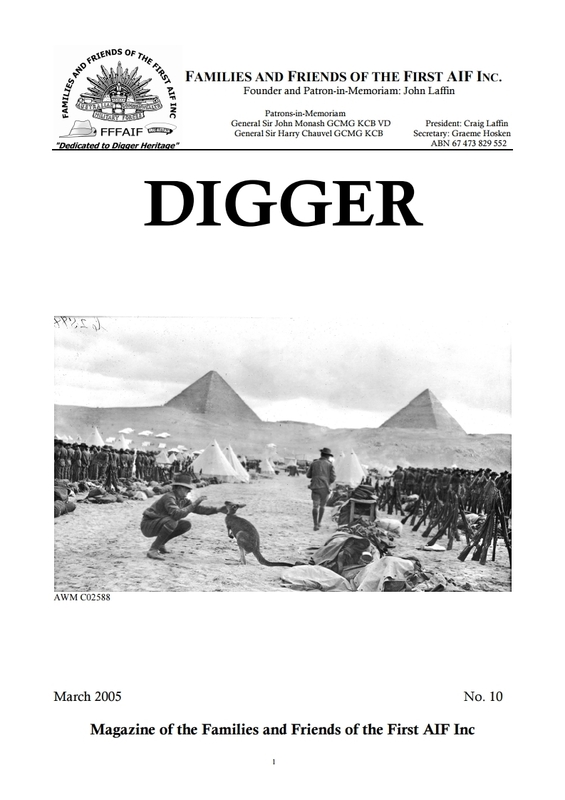 Browse Tables of Contents of past copies of DIGGER by selecting the link below the image of the Cover of each past issue. 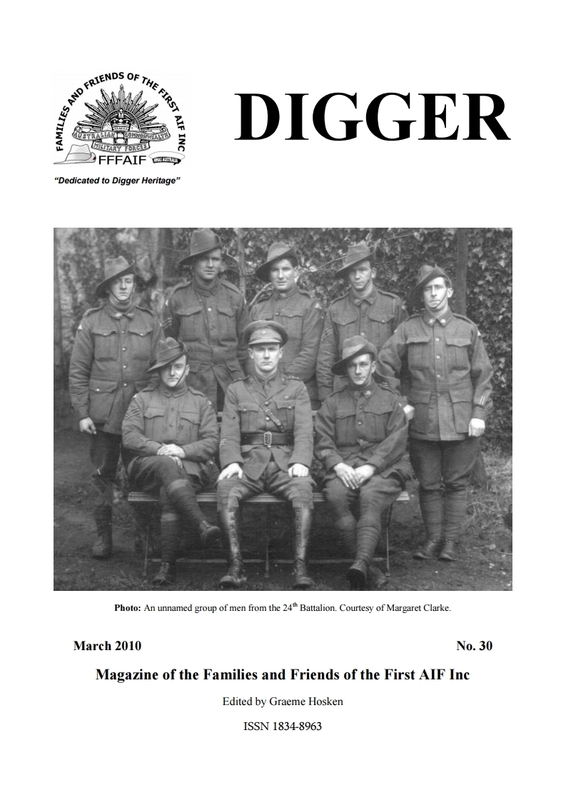 The Contributors, mostly FFFAIF members, who have told or shared their stories or items of interest. 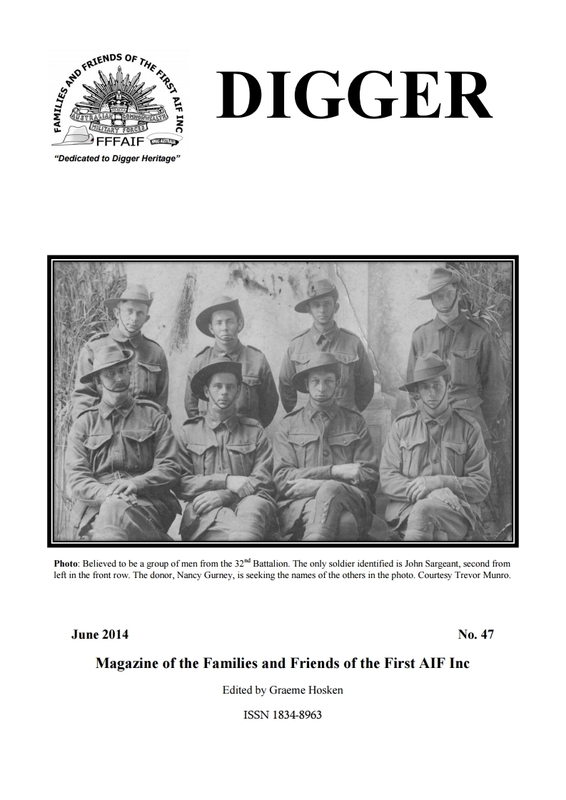 FFFAIF Secretary Graeme Hosken has edited issues 9-65. 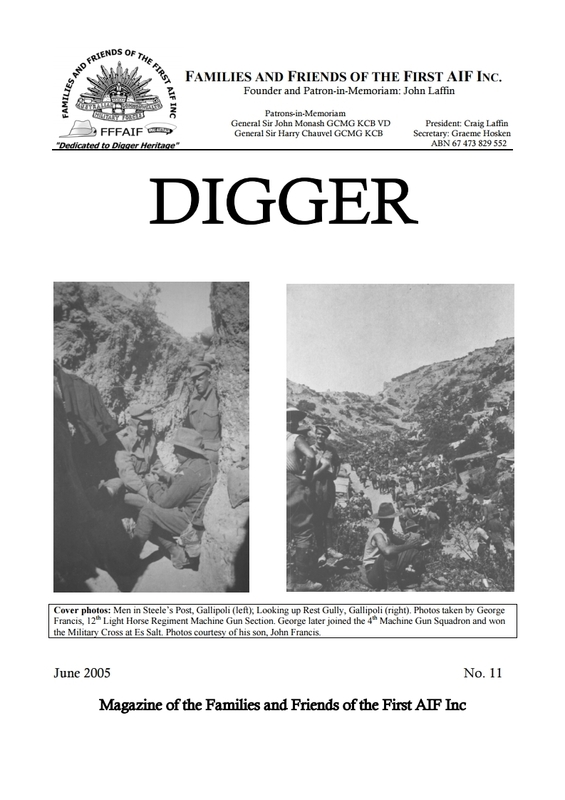 Inaugural President Craig Laffin edited issues 1-8. 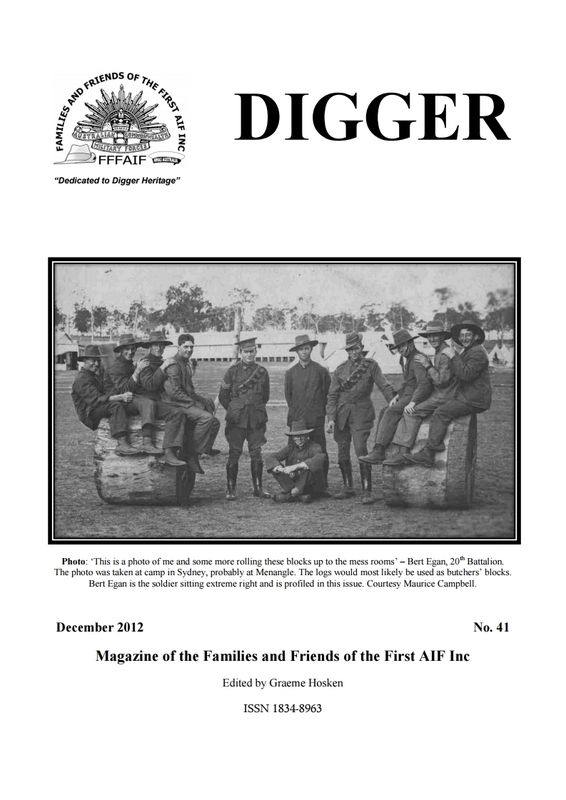 Past President Russell Curley has been the proof-reader for all issues and compiled the Index for issues 1-24. 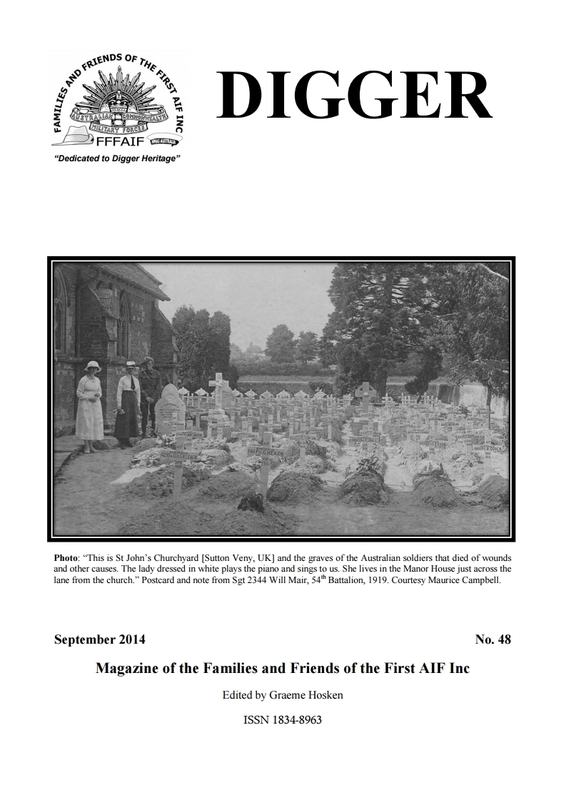 Geoff Lewis has compiled the Indexes for issues 25-65. 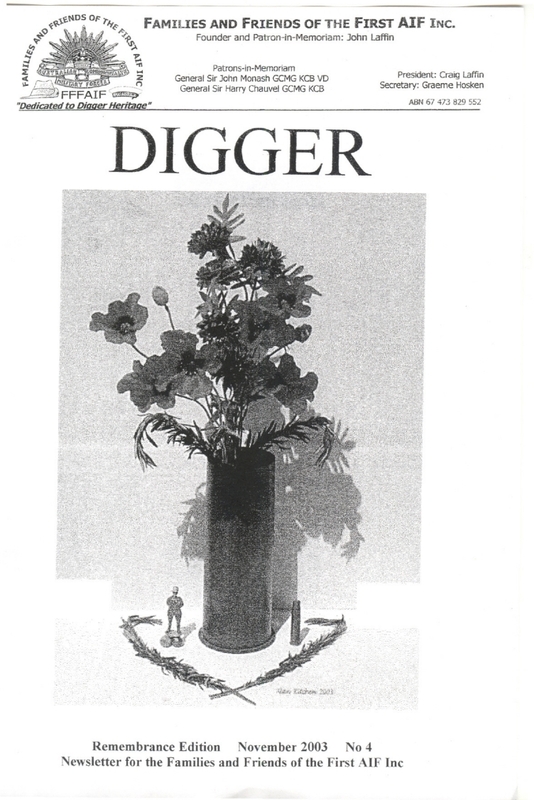 Kelly Henderson has developed the consolidated index. 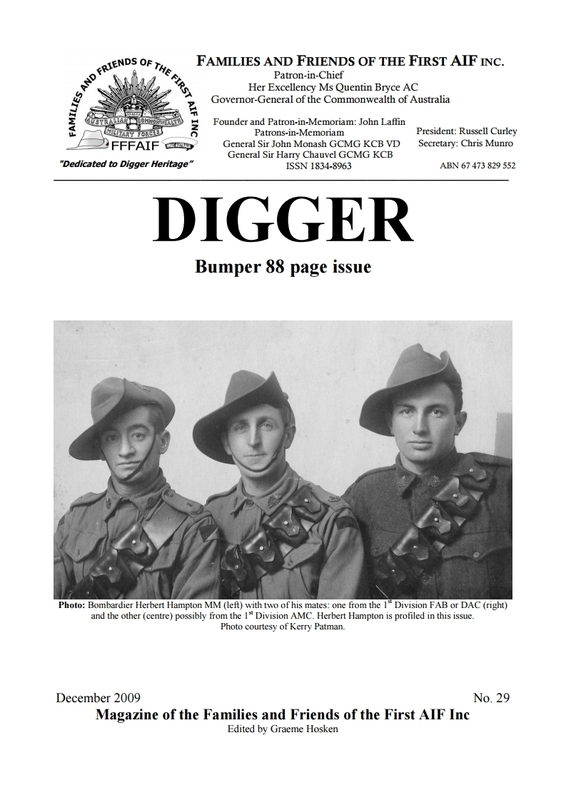 Aaron and the team at the Colour Copy Shop at Dubbo has printed issues 22 to 65. 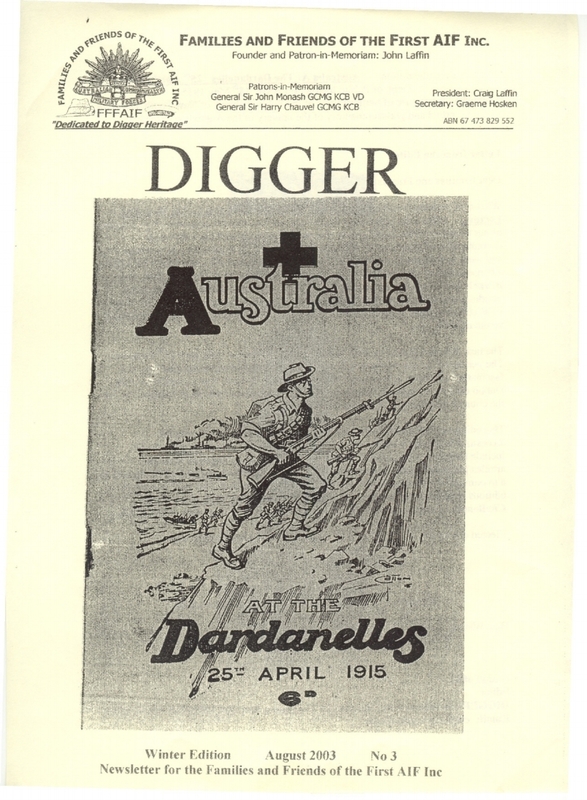 Former Membership Secretary Alan Kitchen printed earlier issues. 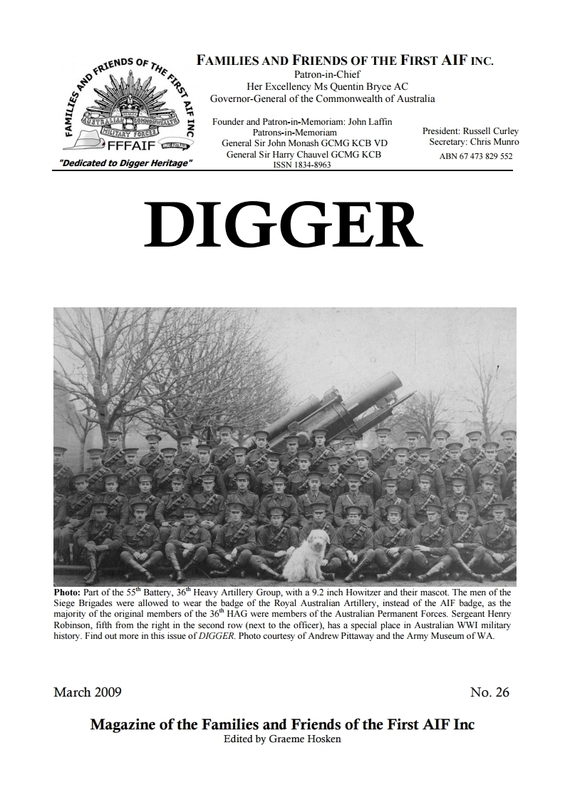 Past Committee Member Trevor Munro has assisted in packaging and distribution of DIGGER. 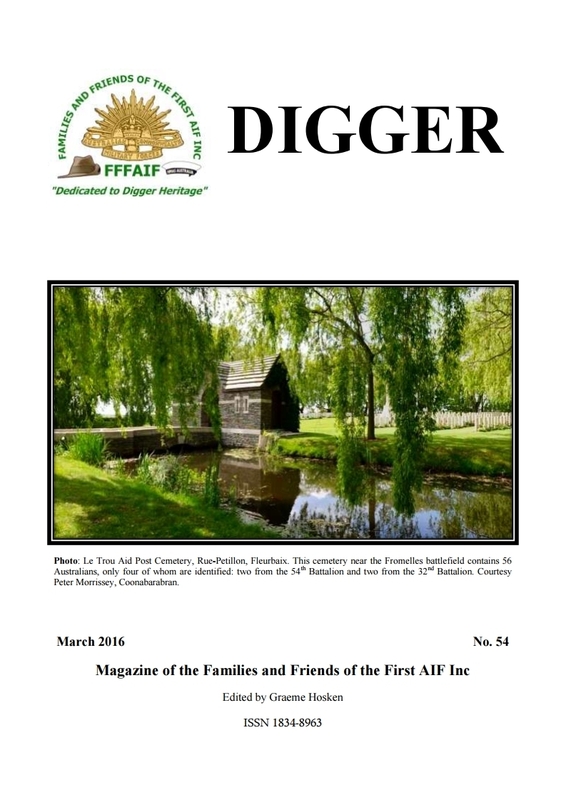 FFFAIF’s former Web-Manager Chris Bartolo set up many of the web postings for issues 1-49 and Past President Russell Curley and President Jim Munro have extended these.